Many thanks to the first cohort of Clinical Leaders from ELHCP who completed their 2-day module 1 of the programme last week. We look forward to welcoming the second cohort next week. 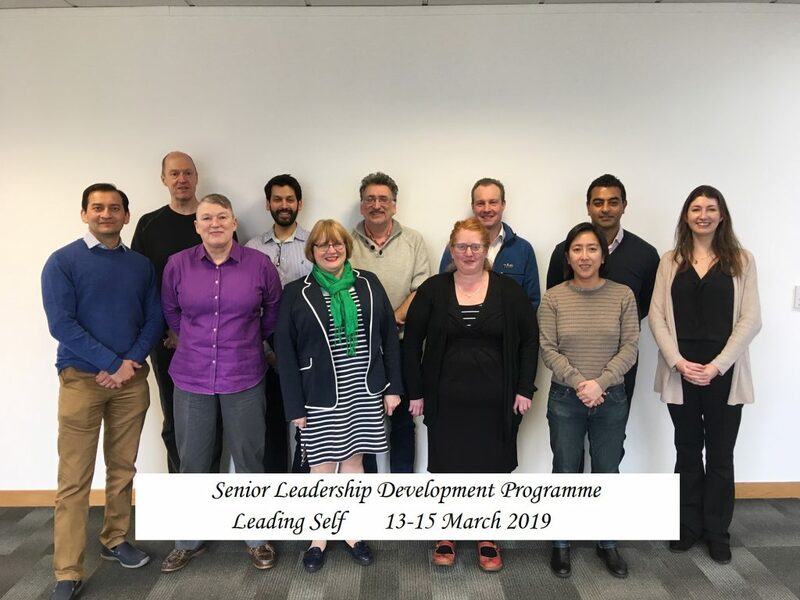 We were pleased to be back with our fifth cohort of senior leaders from Mid Essex, Southend, and Basildon and Thurrock University Hospitals last week for their first module in the programme. Merry Christmas from Staff College! Hear what we’ve been up to over the last few months and our highlights of 2018 in our latest newsletter. “It’s been an interesting week at Staff College, a mention by the Secretary of State, Matt Hancock, commentary in the news and the odd mention on social media. Many thanks to all of our alumni who have been sharing their stories and experiences too this week. We felt it was an important moment to reflect on why we feel the work we do is so important, and what makes our approach so potent for the healthcare leaders that we support. Founded within the NHS by the late Prof Aidan Halligan, Director of Education at UCLH in 2010, Aidan’s overwhelming belief was that in order to deliver the very best, and safest, care for patients required truly exceptional leadership, at all levels within the NHS. At the time he recognised that there was very little formal leadership development opportunities available for all NHS staff, and he sought to do something about it. Aidan looked outwardly to where others already had systemic approaches to developing their leaders in order to learn from them, but he recognised, as a doctor himself, that healthcare is a unique and complex environment, and for any development to work, it had to involve clinicians and those who understood its challenges. As such, Aidan founded the NHS Staff College, bringing together a faculty of senior clinical leaders, who understood the unique context of the NHS, senior military leaders, who had spent their careers developing their junior officers, and leadership development experts from business and education. Working together, this diverse team drew on their significant leadership experience, bringing together learning from the different sectors in order to develop an innovative experiential approach to leadership development. Aidan was clear in his vision, he wanted Staff College to develop programmes that would support individuals to have the courage to do the right thing on a difficult day. To start and sustain a movement where leaders took responsibility for themselves, their actions and their behaviours, who developed the environments in which their teams could thrive and where people would come first. He saw that to do this required a significant humility in those that came through, to open themselves up and to be prepared to develop a foundation of self-awareness through feedback from others, before developing the ability to manage the own behaviours in the moment, develop better relationships with others and ultimately lead others more effectively. We set great store by gaining the trust of the organisations and individuals with whom we work. Understanding each organisation’s needs and pitching in at the right time with the right support contributes to developing this trust from the outset. By these means we stand a much better chance of achieving a genuine buy-in which is then followed up with ongoing support. We work to a similar methodology for individuals attending our courses. A Director of People recently described this as being unique in their experience and characterised it as a ‘By Your Side’ approach. It would be fair to say that the stories of our members are a far more powerful testament to the experiential and personal approach we have to developing leadership than anything we could say.